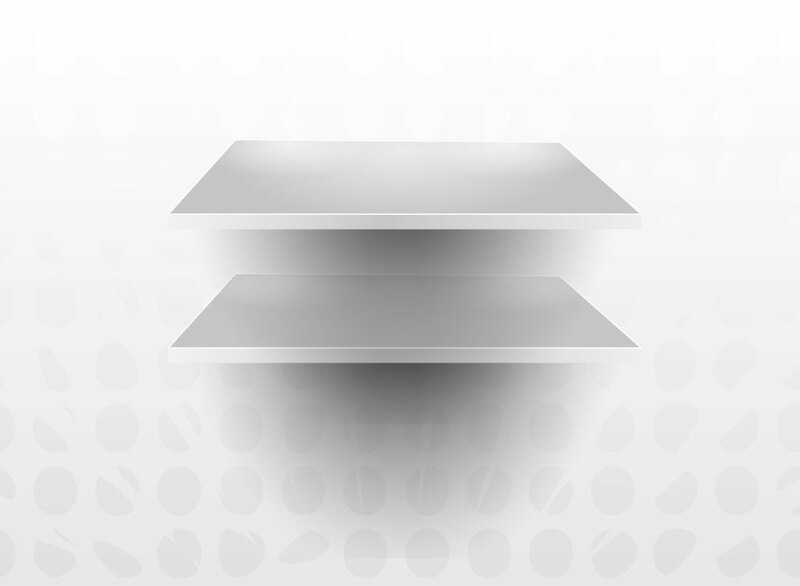 Free interior design vector download featuring a pair of flat shelves in silvery gray gradients. The highlights and shadows are well placed and the minimal graphics are similar to something you would see in an Apple computer ad. Just place your vector objects on top for a minimalist modern image. Tags: Bookshelf, Home, Installation, Interior, Office, Room, Shelf, Shelves, Space.